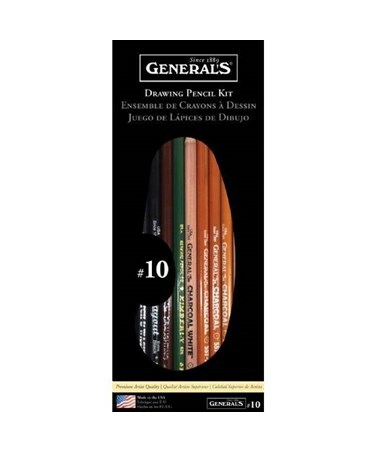 The General’s Basic Drawing Pencil Kit is an ideal drawing tool for all beginners and students. 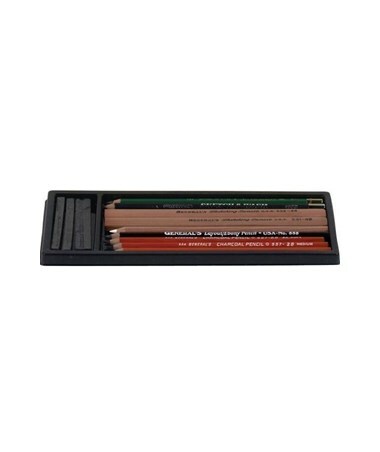 It features basic charcoal and graphite pencils of high-quality materials and tested formulations including 4B Kimberly graphite drawing pencil that produces smooth lines. It also comes with pre-sharpened charcoal pencils in 2B, 4B, and 6B degrees, and one charcoal white pencil. For maximum functionality, this drawing kit is equipped with an extra-black and ultra soft Layout pencil that is ideal for outlining and sketching. With a water-soluble Sketch & Wash pencil, it can be used with brush and water to create dramatic washes of gray and black. It also contains 2B, 4B, and 6B compressed charcoal sticks that are handcrafted from superior quality carbon and organic blacks. 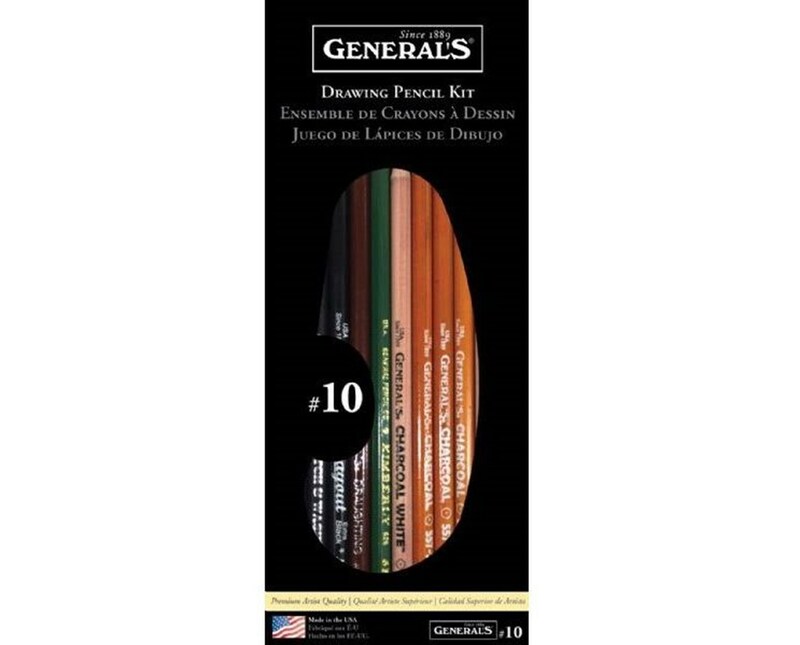 The General’s Basic Drawing Pencil Kit is PMA approved. All pencils are made of sustained yield incense cedar wood to ensure strength, durability, and long-lasting performance.